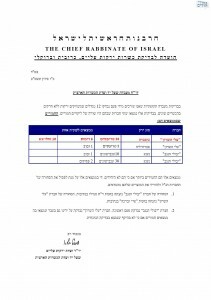 A recent inspection of Shlomo and Tzuri Levy Butcher, located in Moshav Peduim, revealed the store was displaying a kashrut certificate from Yuval Cohen of Netivot, who is not authorized to give kashrut supervision as per the Kashrut Law of 1983. It should be pointed out that Cohen’s supervision only came about after the Merchavim Rabbanut removed its kashrut from the butcher shop for gross kashrut violations. The inspectors were attacked, beaten over their entire bodies, clothing torn, and they sustained injuries from the unjustifiable and unprovoked attack. One of the inspectors was transported from the scene in an ambulance. The suspects were eventually removed in handcuffs. 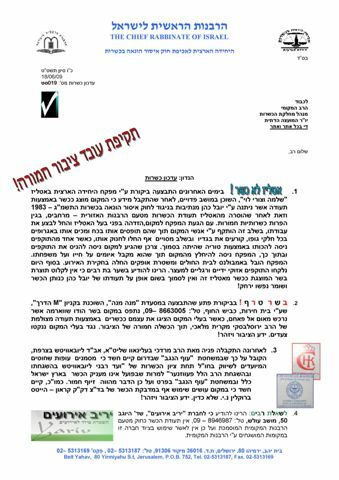 Rabbinate Fraud Division officials warn consumers not to use any products from the butcher shop or rely on the supervision of Yuval Cohen. A surprise inspection of the Mena Mena Restaurant in the M-HaDerech Mall near Bet Herut on the Coastal Road inspectors found swarma, turkey meat purchased in Um el-Fahm. 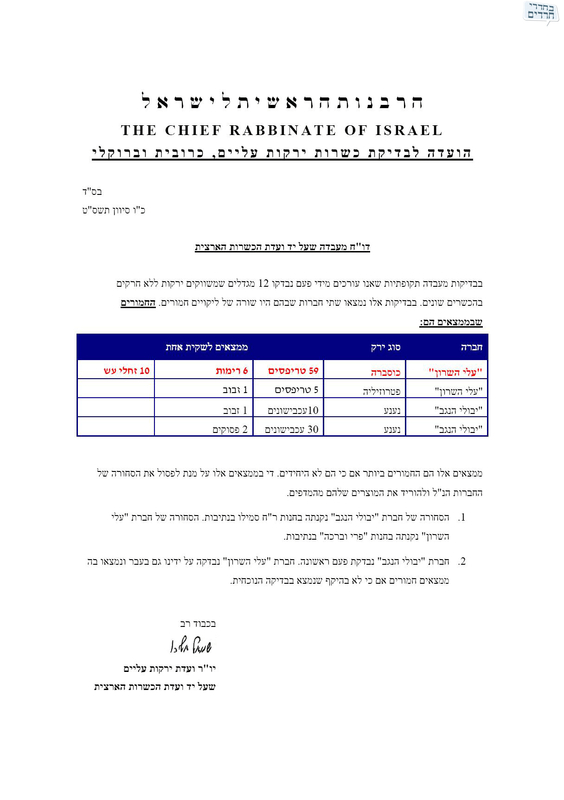 The store however exhibited a photocopied kashrut certificate from Rav Yuruslavsky from Kiryat Malachi. Legal action is being taken against the owners of the establishment. The greens being marketed as ‘bug-free’ “Gush Katif” brand under the label Alei HaSharon is actually quite infested and should not be used. The same holds true for the greens with the label “Yivulei HaNegev” from Moshav Shuva. Breads being sold in northern Israel under the label Jerusalem Organic Bakery Mehadrin have the unauthorized supervision from the Mor Levona agency. The company does not have any supervision from the rabbinate or any known accepted kashrut agency. Following is a list of businesses that are making fraudulent kashrut claims or have had their supervision revoked. Tel Megiddo Restaurant has lost its supervision. Spoons Café – 3 HaNasi Street – Kashrut revoked but it continues to advertise as kosher. 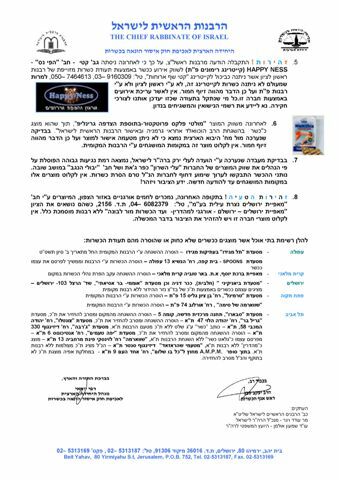 Birchat Yosef Bakery in the Be’er Tuvia Industrial Park – kashrut revoked due to non-compliance. Biankini Restaurant – Kikar Denia – has an unauthorized Nezer HaHidur Kashrut but does not have a Rabbanut certification. 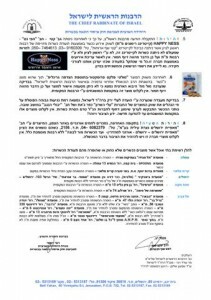 Asiatic Bar – 103 Herzl – Kikar Denia – has an unauthorized Nezer HaHidur Kashrut but does not have a Rabbanut certification. Sima’s Shwarma – 74 Orlev Street – kashrut revoked. Chantalo Restaurant – 58 Yehuda HaMaccabi Street – The store sign says kosher but there is no supervision from the Rabbinate. Shwarma – Corner of Livinsky Street and 13 Merchavia Street – Advertises as mehadrin without Rabbinate superivison. Metamei Sharazad Restaurant – Dizengoff Center –displays a photocopy of a kashrut certificate. Does not have Rabbanut superivison. AM PM Supermarket – Outside says Kol bo Sholom – 9 Ahad HaAm Street- the bakery in the premises advertises as kosher but the certificate is outdated and the store refuses to return it. Posted on June 19, 2009 by JKN Israel. This entry was posted in 5769 - 2008/2009, Chief Rabbinate Updates. Bookmark the permalink. Can we get the full size publication of the chief rabbinate? They are only in small which is way too small to print out.